Home Acne What Is Acne? What Is Acne? Acne is the most common skin disorder. This condition occurs when hair follicles become plugged with oil and dead skin cells. Acne affects people across the globe. And most common among teenagers during puberty, though it affects people of all ages. Acne starts when greasy secretions from the skin's sebaceous glands (oil glands) plug the tiny openings for hair follicles (plugged pores). If the openings are large, named as blackheads: small, flat spots with dark centers. If the openings stay small, it take the form of whiteheads: small, flesh-colored bumps. Both types of plugged pores can develop into swollen, tender inflammations or pimples or deeper lumps or nodules. 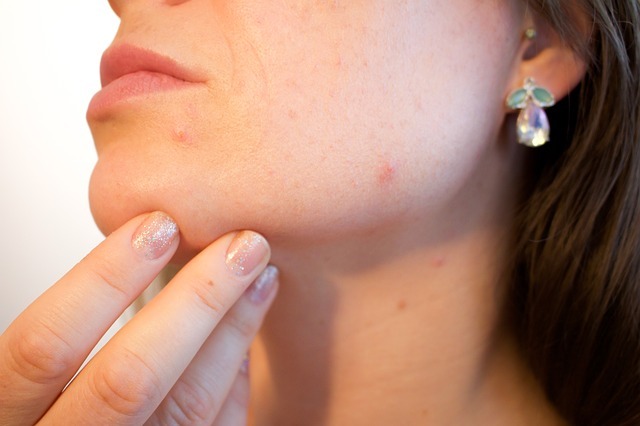 Nodules associated with severe cases of acne (cystic acne) are firm swellings below the skin's surface that become inflamed, tender, and sometimes infected. It is not caused by bacteria, although bacteria play a role in its development. In a chronic, inflammatory skin condition causes spots and pimples, especially on the face, shoulders, back, neck, chest, and upper arms. Although it's common skin disorder, accurate information about acne can be scarce. Both males and females of all around the world are affected by acne as one of the most widespread conditions in the world. The most common spots for breakouts are the face, chest, shoulders, and back. Depending on its severity, acne can cause emotional distress and scar the skin. The earlier start treatment, the lower risk of it. You can treat it using products available at a drugstore or cosmetic counter that do not require a prescription. However, for tougher cases of acne, one should consult a physician for treatment options.